Pesto Perpetuo means never having to beat flower buds to harvest! This green-white variegated sport is a natural selection from a columnar basil variety. No flowers means numerous and plentiful harvests the whole summer through. Tastes of basil with just a hint of lemon. U.S. Plant Patent #16,260. Basil, Pesto Perpetuo is rated 4.0 out of 5 by 9. Rated 5 out of 5 by Basil from Pesto perpetuo basil My basil pesto is growing well. Very tasty, plus an eye pleaser. Both in a pot, and in the garden. My grand kids eat it right off the bush, yummy! Thanks burpee! Rated 5 out of 5 by Donita from Best pesto around. Love this. It doesn't flower out and it has a deep rich pesto flavor. Rated 4 out of 5 by JLET from Great!! I just got this in the mail and all 3 plants came in with no problems at all. They looked great just like going to a store to buy them. we will see in the next month on how well they do. Rated 5 out of 5 by CaseyT from Eureka! Finally, a basil that didn't bolt on me. Performed beautifully, even when I neglected it. Gorgeous plant, too. Rated 1 out of 5 by Fireman5000 from Plants died I ordered 3 plants and I did as instructed by the directions to harden off the plants after receiving them. All of the plants turned black and died. Rated 5 out of 5 by Verity from Looks good all summer! This basil is a necessity for our garden. When I could not buy it locally this year I was happy to find it at Burpee's. All the plants were healthy and grew quickly and lined our walkway through the middle of our vegetable garden. And it nice that it does not go to seed and is still standing after our other basils have gone to seed for the summer. It is a very pleasing basil and quite pretty with its variegated leaves. Rated 1 out of 5 by SusieQs pesto from Basil, Pesto Perpetuo I bought 6 of these plants at the beginning of the season and only one survived. Gave 3 of them to a friend who is an avid gardener. In fact a Master Gardener! All 3 of her plants died within 2 weeks of planting. Only 1 of mine survived and did so well but the other two also died within 2 weeks of planting. Rated 5 out of 5 by GourmetGardener from Perpetual! One problem with every basil I grow (except this one) is that they go to flower and seed rather quickly. 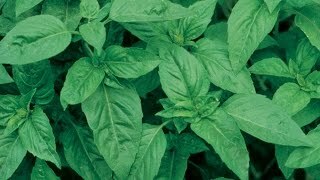 And once the basil has gone to seed, the plant does not put out much new foliar growth. This means the older leaves get tough and the new ones are small and sparse. This basil did not go to flower from when I planted in late May until it froze out in early November. That means there were always fresh new leaves to harvest! The plant is extremely attractive. The basil flavor is not the best compared to other basils, but the fact that it was producing plenty of fresh, beautiful leaves after my other basil had gone to the compost bin made up for that single weakness. The leaves are not large--about 1 inch long. 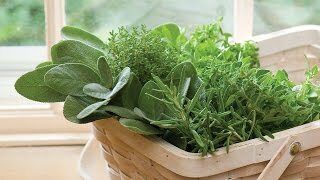 I will grow this lovely, fragrant herb every year now, unless something better comes along.